Well, it must be known to everyone that to give a tip in restaurants, hotels or in other services is very usual in many countries. 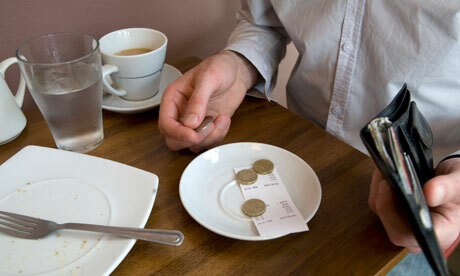 But there are few Countries where tipping is generally not allowed. Japan is one of them. 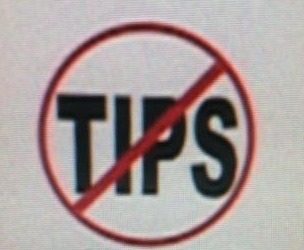 There is no tipping in any situation in Japan – restaurants, personal care, cabs, etc. Wherever you go, be it is Restaurant, hire taxi, hotels, who served you any kind of services, and if you try to give them tip, they just refuse it. They said we already being paid for the services we are providing to the customers from our employer. This is not about tip only. It shows their self-respect also. That shows they are respecting the work they are doing. And what they only want is respect but tip. Well, being a foreigner I just want to imagine how good that society would be where they don’t take tips. It seems they got their enough money form the employer and they are satisfied with whatever they are getting. We can say that’s the dignity they have about themselves. And i want to ask myself imagine a society who doesn’t take tip, how they can take bribe. Well, i don’t know how long this custom is but I am sure this is one of the reason for becoming good society. Yes, if customer give you some tip, it is considered rude to Japanese society. Even handing a money bill directly from your pocket is considered rude. In some cases, it is written on the receipt to the bill that “Following the custom in Japan, our staffs are fully compensated by their salary, therefore gratuities are not accepted”. However in typical Japanese traditional style inns (called “Ryokan”), you can offer them money but that always should be in Envelop. And should be given to the person you think is deserve for his very hard work. Also if in a big cities like Tokyo if you can’t speak Japanese, there you may find someone who help you to make them understand what you need, might take some extra amount for their efforts. So, better check by visiting Japan.